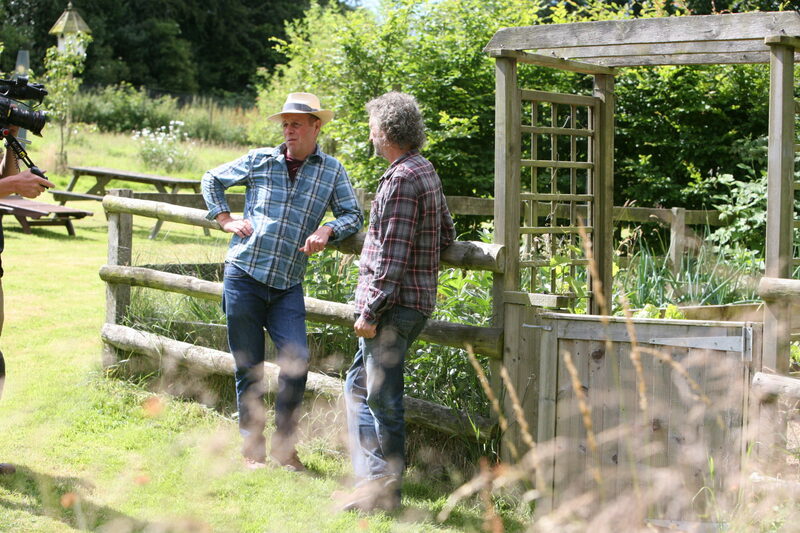 This week Joe Swift and the BBC Gardeners World team visited Martin Cook’s garden and workshop to film a piece that will be shown on BBC in August. Joe Swift talked to Martin about his history of Chelsea Flower Show medal winning gardens. Martin has designed three winning gardens since 2011. The first, The Literary Garden, won him a silver/gilt medal. 2013 saw Martin’s Mindfulness Garden win Gold, and this year he won a second Gold medal with The Antithesis of Sarcophagi Garden which he co designed with Gary Breeze. Joe and the BBC film crew filmed around the gardens, discussing Martin’s carved pieces that appear in various parts of his Chiltern garden. Martin Cook’s hand carved stone artworks can be seen in private gardens and public spaces all around the World. Each pieces is designed at the drawing board, hand carved in the traditional way with hammer and chisel.